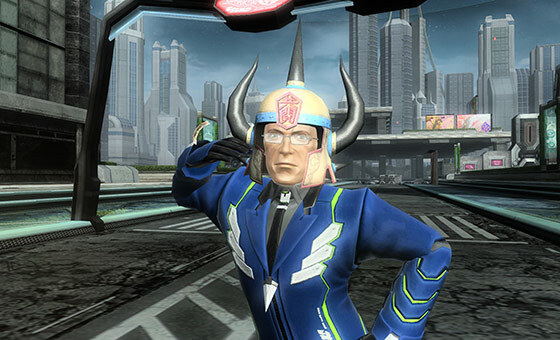 To commemorate the airing of the “Kyoutou-Sensei PSO2” commercial, players can pick up the Kyoutou-Sensei helmet from the visiphone until December 24th, 2013. 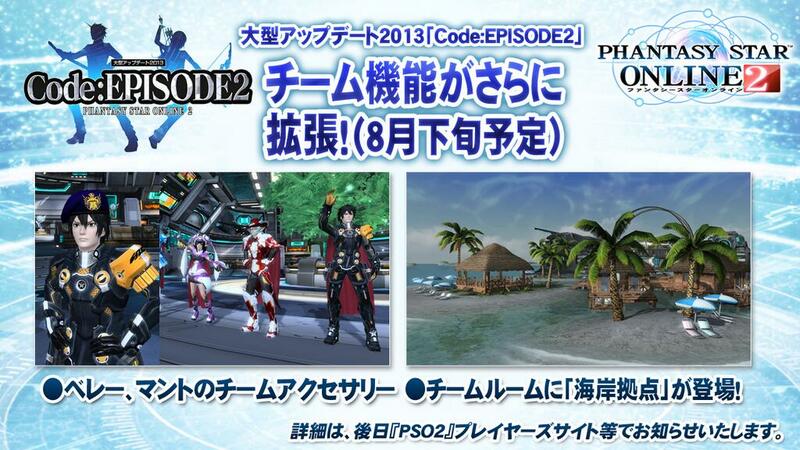 New Team Accessories and a New Team Room in Late August. 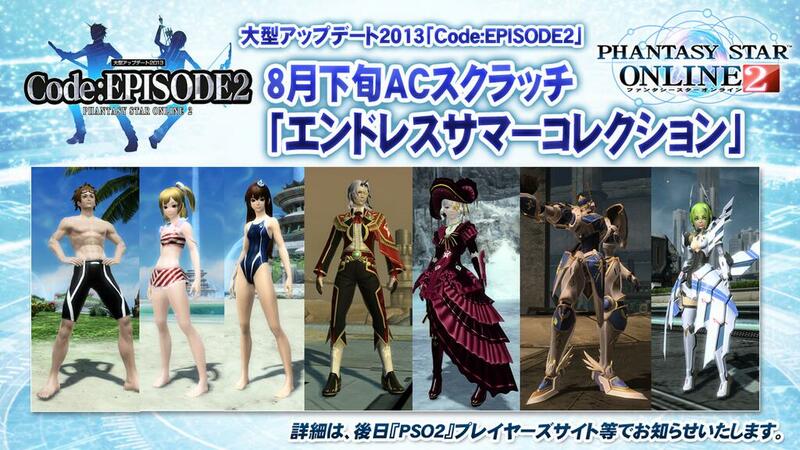 Capes and berets you can wear as a team. 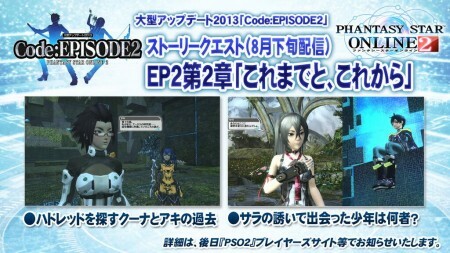 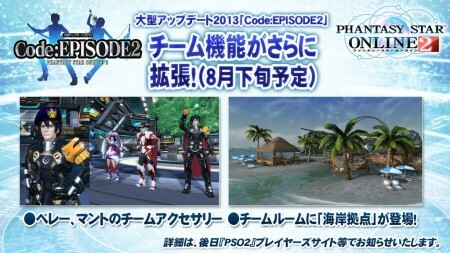 Endless Summer Collection includes new swimsuits and default costumes for Phantasy Star Portable 2: Infinity. 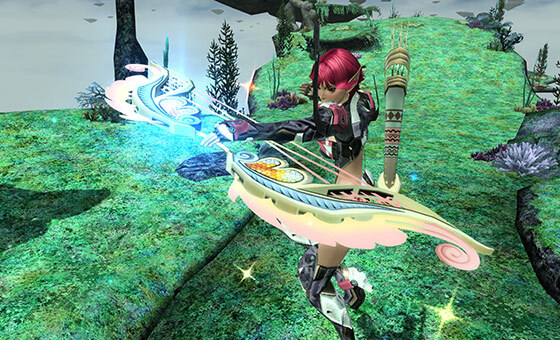 You can pick up the Ange Harp Bullet Bow Weapon Camo in the August 1st issue of Weekly Famitsu (週刊ファミ通誌8月1日号).